The Most Advanced, Feature Loaded, Upgrade Compatible Remote Starter Systems Available! 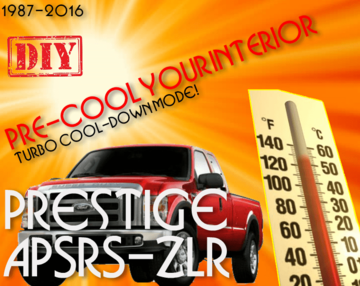 Have the Performance & Features you need on your Truck! Lock, Unlock and Remote Start your Ford Super Duty Truck from up to 1 MILE away. Provide's you with that extra distance so you'll be able to remote start your truck from work, your table in a restaurant or from the checkout line! All Remote Versions Include 2 Remotes and get up to 1-MILE of Range. 2-Way Remote Packages (Versions 2, 4, 5) Include 1 x 2-Way Remote and 1 x Standard Back-Up Remote (Extra remotes are available at a discount during checkout). 2-Way Remote Benefits: With a 2-Way remote it confirms by a specific number of beeps from the remote (versions 2, 4 & 5) and either by a number of LED flashes (versions 2 & 4) or visual display on an LCD screen (version 5) whether the remotes signal reached your vehicle and actvated the desired feature or not, when out of range. So basically you could be around the block from your vehicle and know through the remote if you activated the remote start or check if you locked the vehicle (and more). No drilling holes in your dash or underdash panels! Drilling holes in the dash to accomodate LED's and Valet buttons are a thing of the past. The system has the status LED and Valet/Programming button conveniently built into the systems antenna. 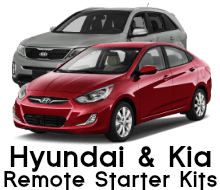 You will have the option to easily change your remote starters run time from 5 to 60 minutes and 4 settings in between anytime after installation. Order the system with a pre-set time during check-out. Customize the Ignition ON Delay-B4-Crank setting time to get just that right amount of glow-plug warming time. Adjustment times include 10, 15, 20 and 30 Second Delay-B4-Crank. Completely adjustable after installation (Default industry standard setting is 15 seconds). 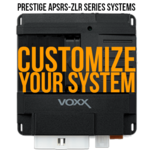 Order the system with a pre-set time during check-out or change it anytime after installation. Just leave your climate control or manual settings for your heat or AC on and within 15-20 seconds after remote start activation the system will provide power to the vehicle's HVAC circuit. 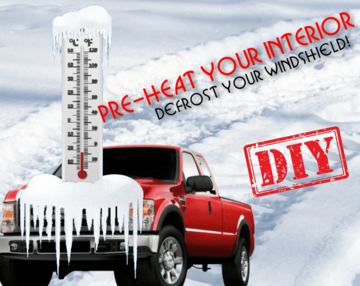 Pre-heat your interior and defrost the windshield on a cold winter morning or pre-cool the interior down to cool down hot seats and burning steering wheels from a hot day of it sitting in the sun! If you want to make a short stop and keep your vehicle running without having to leave the keys in the ignition (to keep the interior warm or cool), the quick-stop feature allows you to do this while keeping your vehicle secure and your keys with you. If your vehicle is equipped, this option will keep your engine running to allow the vehicle’s turbo to properly cool down before shutting the engine off. System can be ordered with 1 of 3 settings (1, 3 and 5 minutes) and the setting can be changed any time after installation if desired. System can beep the vehicle's horn when locking, unlocking and when the remote starter is activated. This feature can quickly and easily be turned ON/OFF anytime after installation. The system will flash the vehicle's parking lights when any feature is activated and turn on solid when the vehicle is running via the remote starter. The system has the ability to automatically turn your vehicle's interior/dome lights on and/or the vehicles parking lights at the same time you unlock the doors with one of the systems remotes for 30 seconds (or off sooner if ignition is turned on first). Choice's and configuration offered during checkout. On many newer vehicles today there's a factory feature that automatically locks the vehicle's doors after the vehicle is started and driven away. If your truck is not equipped with this option the system can provide a similar feature that will automatically lock the vehicle's door when the ignition is turned on. It also has the ability to unlock the vehicle when the ignition is turned off. Feature configuration provided during checkout. Vehicle not equipped with a factory alarm system? This system can provide the same open-door alarm coverage as a factory installed system. Option offered during checkout. Remote Start Ready Mode (RSRM) - Manual Transmission Vehicles Only - To activate the remote start function, you must first put the system into remote start ready mode before exiting the vehicle: The steps required to enter remote start ready mode are: While the engine is running by the ignition key; Place the transmission in neutral: Set the parking brake: With your foot off the brake pedal, press and hold the button on the remote: The system will beep 4 times and the parking lights will turn on to confirm that the RSRM has been activated: Remove the keys from the ignition, the vehicle will remain running: Exit the vehicle and close all vehicle doors: Within 1 minute, press the button on the remote 1X to lock the vehicle's doors: The vehicle will shutdown and sound 2 short chirps then 1 long chirp to confirm RSRM mode is set. The system can be operated with up to 4 remotes at a time. In the event any remotes were lost or stolen, you can easily erase the lost or stolen remote from operating the system. The system has a dedicated plug&play input ready for control through your smartphone (interface sold separately). No adaptors or additional firmware updates required! Can be added anytime during or after system installation. A 15% OFF discount is offered during purchase of the APSRS-2BZ-FSD system! The system will provide parking lights flash feedback to display system errors. The vehicle's parking lights will flash in a specific flash pattern to indicate diagnostics. Not all trucks are exactly the same; it's a fact that age, past care, current care, wear, can make the same two year, make and model of trucks start and run differently. Although the system's pre-set start/run monitor settings work perfectly right out-of-the-box on the majority of trucks, there's always that one temperamental truck that needs a little extra tweak to get it to remote start and run perfectly, and this system has the most innovative technology that can be configured to accomodate some of the most unpredictable situations dealt with on trucks today. Basically, if the vehicle starts fine with the key, this system will get it remote started! All our vehicle specific ready systems arrive at your door preped complete with pre-wired harnesses and polarity settings, with all the parts and information you'll need to install the system into your specific vehicle, guaranteed. No sitting with a lap-full of "spaghetti-wire", no manuals to download or videos to watch and no jumping back-and-forth from vehicle wiring chart to system manual to figure out what wires are needed (and not needed) to connect to your vehicle. Every system includes a clear & concise step-by-step vehicle specific installation manual that will indicate to you exactly what wire from the system connects to what wire in your vehicle, where the wire is located (the majority of our manuals also include photo's) and how to simply confirm it's the correct wire using the kit's supplied LED style test probe. Lifetime Technical Support available 70 hours a week, 7 days a week! Run itno t glitch? You will have access to some of the most qualified technicians in the industry, 70 hours a week, 7 days a week! Providing technical support online since 2002, each member of our technical support staff has a minimum of 10 years of hands-on experience installing alarms, keyless entry and remote car starter systems. And with one of the largest support networks in the industry, our technicians can be directly contacted via phone, email, through our BLOG, and you can even TxT our tech's. With our wide-range of communication options, if you ever have a problem or question you can feel confident that you can easily contact someone in our technical support department in a prompt manner. 3 Year "VIP" Warranty. 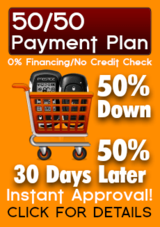 Best Warranty in the Industry! 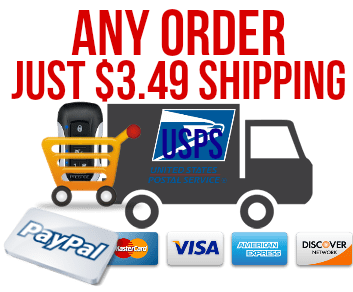 In the rare event that you have a problem with your system within 3 years from date-of-delivery, just contact our technical support department and after they determine the problem, they will email you a return shipping label for the defective part and ship you the repaired or replacement part within 2 business days of receiving the defective part at no cost to you! Remotes carry a 1 year warranty only. And if you happen to be out of warranty, you still have lifetime tech support and will receive a VIP 10% discount on any out of warranty replacement parts you need. Warranty coverage extends only to full systems installed successfully and that failed under normal every day wear & tear due to factory defect or QC issues.